Not long ago I reported on a new novel that was recently released in May featuring Ian Fleming in a fictional tale that at the time I said gave me a sort of The Da Vinci Code vibe. Well I finally got the chance to read it and I should begin by saying that comparing it to the The Da Vinci Code is probably a little unfair, although it does share a couple similarities. One way of putting it is to say Ian Fleming plays the role of Leonardo da Vinci and Amy Greenberg, the protagonist of In Secret Service, is Robert Langdon, the protagonist of The Da Vinci Code. The difference really is that unlike The Da Vinci Code, Greenberg doesn’t run around a city solving clues like Langdon. 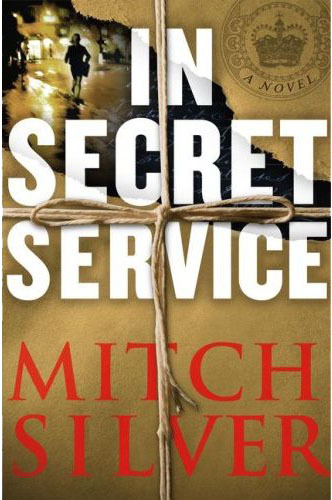 I think a far more apt way of describing In Secret Service is to say it’s a story about a woman reading a manuscript supposedly written by Ian Fleming. I say “supposedly”, not because I can’t comprehend or accept a real-life person woven into a fictional tale, but because the penmanship that is attributed to Fleming strikes me as really nothing close to Ian Fleming. I mean if you’ve ever read Fleming, and not just exclusively a James Bond novel, then you know how his style of writing is in a class by itself. And what is attributed to him in this book isn’t just a small letter. Over half the book has Amy reading a manuscript titled “Provenance” with numerous associated documents that appear as pictures in the book usually at the start of a chapter. The story begins with Greenberg being asked to retrieve the contents of her deceased grandfather’s safety deposit box in Dublin due to the bank’s recent sale and impending closure. When she arrives she finds out the content is a manuscript written in 1963/1964 by “Ian Fleming” to her explaining a huge secret that could have damaging implications if the information was ever released. “Fleming” leaves it to her because he was friends with her grandfather and because by the time she is of age to understand any of it, the main players of “the secret” will supposedly be long dead. Unfortunately, because of the sale and closure of the bank, Amy receives the manuscript early and thus the main players of “the secret” are not all dead. Before getting to this secret though Fleming feels compelled to tell the entire background of what’s going on. This is lengthy. It should be noted that Amy starts reading the manuscript around page 30 and by page 100 the reader (this is you and me) are still reading this Fleming manuscript with practically zero character or plot development. We learn that between readings Amy slept in a hotel and flew on a plane, but yeah, not much else, and because she’s traveling she just might as well read. So back we go. Fast forward to – I don’t know page 250 maybe. “Fleming” is still going on with the background to this huge “secret” and still there isn’t much character and plot development, but things start picking up finally. This is good because the book is now almost over. Above all this story just has poor character and plot development. There’s really nothing in the story outside of “Fleming’s” manuscript that makes you want to really stick with it. Amy is obsessed about her upcoming marriage to her fiancé, but beyond a short phone call he doesn’t even enter the picture till the book is practically over. Maybe this is a good thing considering most of the characters are rather dull and cliché. It really is a book about a woman reading another book. It’s not all bad, some of what “Fleming” wrote is interesting, but other times, a lot of times, it’s rather boring or ridiculous including the “secret”, which by the time you get to it is rather anticlimactic. Mitch Silver is not a bad author no matter how much I might have made it sound. He took a difficult plot to work with and forged a somewhat unique path with it. Less background by “Fleming”, more character and plot development and he would have had something, but I guess at that point, the comparison between In Secret Service and The Da Vinci Code would have been far more reasonable.